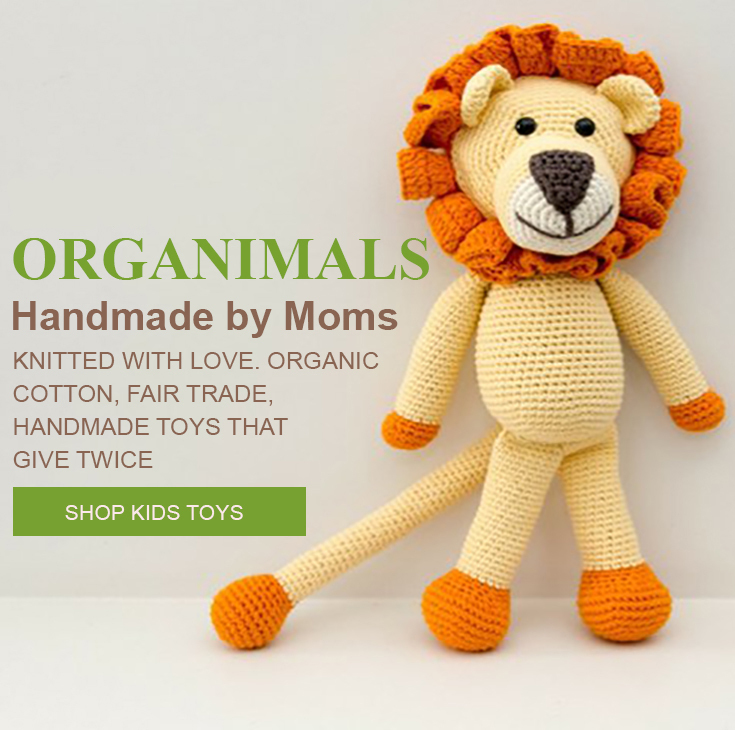 Organimals are made by a group of moms, many who are underprivileged and some who are Syrian refugees. These women are trained in a workshop where they learn the art of knitting adoreable stuffed animals made from GOTS certified organic cotton yarn. When in training or working on site, women can bring their children to work, where the atelier provides a playroom with books and toys and baby facilities. Through this experience, a dedicated group of women and moms has been born to support each other. Flexibility and fair wages are also key. Once trained, these moms are empowered to be able to work from home - allowing them to both support and care for their families. Each purchase is not only loved by a child, but helps a mom support her children too! ABOUT OUR FARM SANCTUARY DONATION: We are extending our offer to make a donation to Farm Sanctuary with every Organimal purchase (10% of every purchase). Farm Sanctuary has opened their sanctuary doors here in Southern California to displaced animals from the terrible and tragic fires. Our hearts go out to all impacted by the fires, including colleagues and coworkers, and also to the thousands of impacted animals. The Farm Sanctuary team has also been spending hours driving on canyon roads attempting rescues. Buy an Organimal now and help Farm Sanctuary!